Current promotions are ending soon! 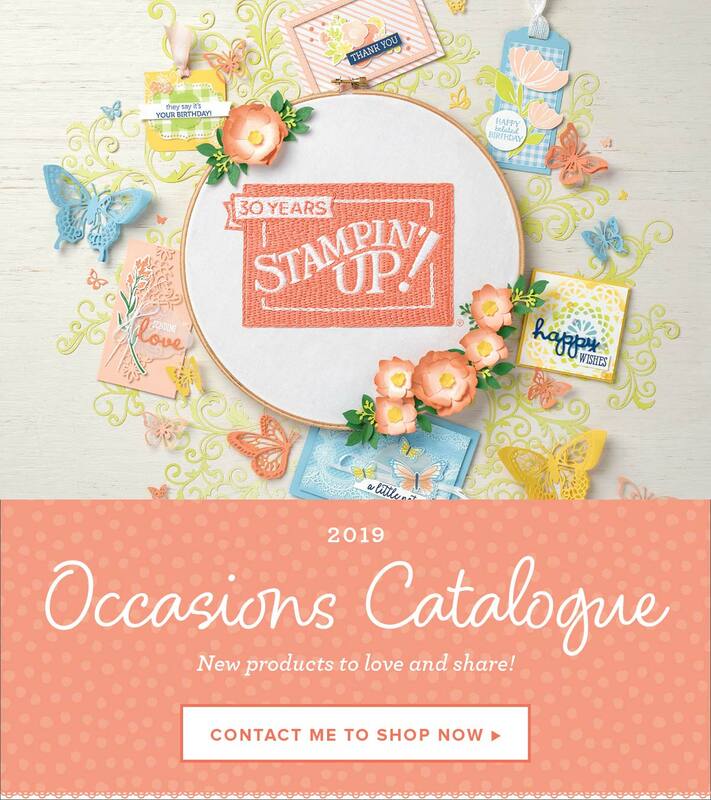 Stampin’ Up!® Demonstrator Karen Robinson | Current promotions are ending soon! Today is a quick look at all the offers and promotions Stampin’ Up! has going right now, there’s quite a few and I don’t want you to miss out! These early release products are only available as a bundle during May and come with FREE goodies as well. I also have extra rewards for customers who purchase either of these bundles through me – see my Customer Rewards pages for more details. So many great products from our current Annual and Occasions catalogues are retiring and are only available while stocks last. If there’s a must have set on your wish list, grab it NOW, before it’s too late. Thoughtful Banners Bundle (Photopolymer 142330, $61.00), this set will make a nice replacement for my go to retiring Crazy About You stamp set. It has lots of mix and match words to create different sentiments suitable for just about any occasion. The clearance rack is always worth a look to pick up heavily discounted retired items, many still coordinate with our current product and embellishments are my favourite to look for. Pumpkin Pie Glimmer Paper (142029) $8.75 $3.50, contains two sheets of 12″ x 12′ glimmer paper. I love glimmer paper and this is perfect for our Autumn/Winter projects. Check out my 2016 Holiday Catalogue Pinterest board for some inspiration. I’ll be back tomorrow with a new project to share, see you soon!